Here’s the first Anthropologie gift with purchase and Bergdorf Goodman Beauty Event for 2019! Bergdorf Goodman runs big tote bag gift events twice a year only. Don’t miss out this high-end 14pc beauty gift bag from Bergdorf Goodman! Anthropologie (NEW) Receive a 9-piece beauty gift with any full-price online beauty and/or wellness purchase of $60 or more. No promo code needed and while supplies last. This post may contain affiliate links. Read the full disclosure. Ulta 21 Days of Beauty Event 2018 preview available now: ulta.com/21days/. The semi-annual Ulta 21 Days of Beauty Event (one of the beauty retailer’s biggest sale events of the year) is scheduled on Sep 2 – 22, 2018. Ulta (NEW) Numerous products from beloved brands like Too Faced, Becca, Stila, and CoverFX will all be 50% discounted throughout the month. There are 3 types of deals we can preview now! Ulta 21 Days of Beauty Event 2018 – Daily Beauty Steals This post may contain affiliate links. Read the full disclosure. 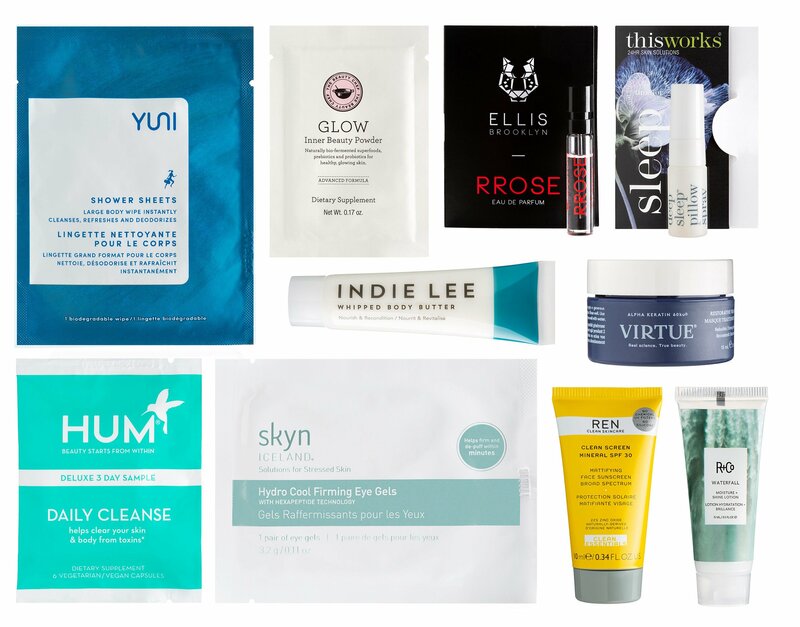 Nordstrom, Barneys, Bergdorf Goodman, Ulta and B-glowing offer FREE gift bags filled with awesome summer beauty must haves. Heavy moisturizers, full-coverage foundations and dark red lips should be replaced with lightweight moisturizers, bare sun-kissed skin and bright pops of peach and coral. If you want to grab new summer essentials, here’s the major goody bag round-up, step-up gifts and extra coupon codes that will sell out quick! Up to 61-piece gift with $125 purchase at Nordstrom!! b-glowing (NEW)(VERY HOT) Receive a free 20-piece beauty bundle on any $150 full price purchase (a $230+ value) + 20% off coupon. No promo code needed simply go to this page and add it to your cart. This post may contain affiliate links. Read the full disclosure. Check out the spoilers for the Barneys Gift Bag 2018! The master of upscale beauty, Barneys New York, curates this 21-piece gift, and its free to any Barneys fans who spend $175 in a beauty, grooming or fragrance purchase. The 2018 Barneys Summer gift with purchase is obsession worthy, without doubt. It features new season samples from La Mer, Diptyque, Le Labo, 3Lab, NARS, Oribe, YSL and a lot more. * This post contains spoilers. Barneys New York (Upcoming) Barneys SUMMER BEAUTY BAG 2018! The gift bag will be available in June 2018. UPDATE 8/30/18: Spoilers for the Barneys Love Yourself Autumn 2018 is available now see here! This post may contain affiliate links. Read the full disclosure.